SW12 Area Guide - What makes SW12 so great? Where do SW12 locals go? On a miserable English day, the best place to go to put a 'spring' in your step is Hildreth Street Market, where stall owners sell beautiful seasonal flowers. The heartbeat of Balham's nightlife, this vibrant pub is open until 1am Friday and Saturday and also serves food from the bar and dining area. A cafe selling delicious coffee, cakes, bread and healthy juices ready to go. Amazing place for food and particularly busy at the weekends for breakfast - you can often find queues there, it's so popular!! This bar serves drink and food throughout the day, but by night it becomes one of the most popular music venues in Clapham. There's DJs and dancing in the garden until the early hours. Always great modern European food at this Michelin-starred restaurant. Perfect for a special occasion. The best Caribbean restaurant in Tooting Bec and their lunch deal is only £3.50! As well as sublime sausage and stilton rolls, the Ginger Pig sells a great variety of lunch treats. Limited vegetarian options, but they do serve many of their products with rocket. Sustainable and stylish fish and chips that taste fantastic! A great place for a swim! Because it's an open air pool, it's ideal in the summer. One of the best places south of the Thames to walk your dog on a Sunday morning. There is also a fantastic coffee shop inside the park where you can meet friends and catch up on the week. The best decor I have ever seen in a bar. The Hamlet is almost like a Hidden Gem in Streatham. Beautiful food, cocktails and staff. A beautiful park to take the kids to or take part in a fitness boot camp! Share your favourite place to go to in SW12. "Underneath each of Clapham's three Underground stations, Clapham South, Common and North are deep-level air raid shelters built during the Second World War." 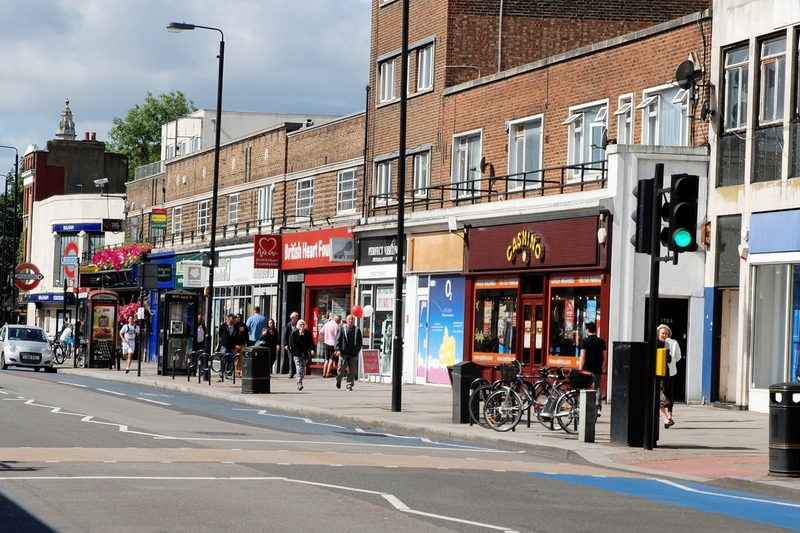 A great mix of independent and high street stores gives Balham a real community feel that always impresses my clients. There are some breathtaking properties neighbouring Wandsworth Common. Clapham Common is the place to be in south west London when the sun's out. So many like minded people around. Balham has a great vibe at the weekend and a huge array of restaurants to choose from. The best part of London. Tooting common and the leafy oak trees, and above all else the quiet. Quiet and only 15 minutes from Streatham Hill to Victoria. What do you think of SW12? Aimed at babies under 12 months, Pitter Patter is also for mothers, fathers and carers. Join us in St Stephens Church and take the opportunity to meet and chat with others going through the same experiences in a friendly and relaxed atmosphere. The babies will be able to enjoy some very gentle activities such as singing, soft play and stories, especially aimed at little ones. At the Well Baby Clinic you can get advice and guidance about your child. These sessions are for parents/carers and young children aged 0-5 years. The clinic offers the chance for you to: discuss general health issues and worries about your child, have your child weighed, and get advice about feeding. Drop-in session at Balham Health Clinic. You must bring: your personal child health record book, and your baby changing bag. SW12 is the postcode district in South West London incorporating the areas ofBalham, Clapham South, Hyde Farm and is covered by the Wandsworth, Lambeth local authority. What are your favourite things about SW12? Find out how much your flat or house is worth om SW12. Feedback about living in SW12 has been submitted directly by the public and may not neccessarily reflect the views of Foxtons. The description of SW12 was modified from Wikipedia and is available under the Creative Commons licence. Land Registry data is Crown copyright. All the views and contributions contained within Foxtons Local Life are those of the contributors. All content is assessed before publishing for taste, however free opinion is encouraged. Foxtons accept no payment or sponsorship for content that is posted about SW12.